The Watermark tab is where you can, surprise, apply a watermark to your image. Tap "Use Watermark" to add a watermark to your photos. You can edit the watermark to add your own custom watermarks. The video above shows you how to do it! By default, you'll see the Polarr watermark when you first turn it on, but that can easily be disabled by turning off the watermark. When you edit the watermark, you're able to load your own custom watermark. Please note that only transparent PNG files (.png) will work properly. If you try to upload a JPEG of a watermark there will most likely be a white box around it. Once you've added your own custom watermark, you can change the opacity, size, and angle of it. With the watermark enabled, it'll show up in the same area of all your photos. How do I remove watermarks from my images? 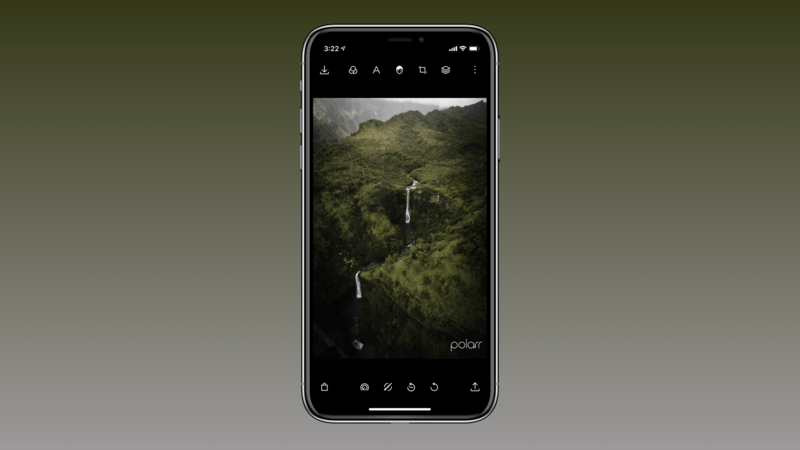 Does your photo say "Polarr" in the bottom right? That's the default watermark! And you can easily remove it yourself. Just go to export/save and then tap the watermark tab. On that page, you can toggle on and off the 'use watermark' switch. That will remove the watermark.